In 1978, committed parents living in the small Delta town of Marvell, Arkansas came together to save their children. Out of their efforts was born the Boys, Girls, Adults Community Development Center, Inc. (BGACDC), a grassroots organization that aims to improve the overall quality of life for the poor, mainly African American residents. 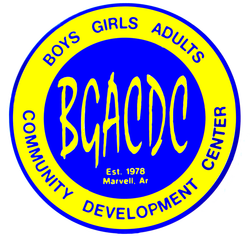 Today, BGACDC serves as the center of community life in Marvell. Volunteers, supporters, and BGACDC staff work together to achieve goals no one thought possible. 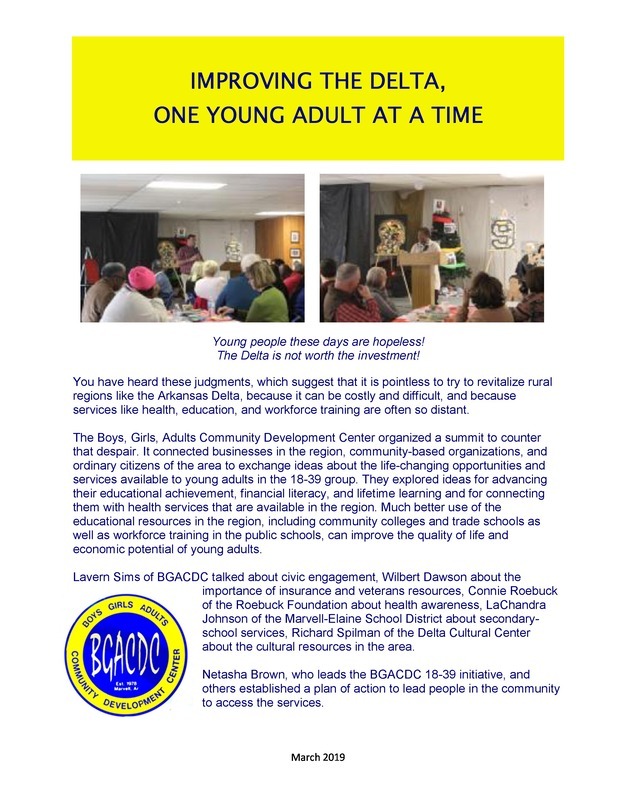 BGACDC's mission is building community competency by empowering people to help themselves. Through networking, partnering, and collaboration BGACDC visualizes a healthy and safe community with affordable-decent housing, accessible affordable health care, and recreational facilities to meet the social and recreational needs of low-to moderate- income residents; an education system that meets the educational needs of all children and prepares them to compete educationally with other children in the United States and abroad; early childcare programs to meet the needs of all preschool children regardless of their income or other situations; a community that provides living wages for their citizens; and a community that respects difference and embraces creativity.